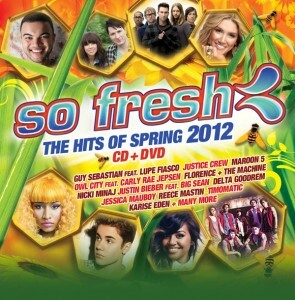 You know Spring has definitely sprung when the season’s edition of ‘So Fresh’ hits the shelves. The team at Sony Music has this afternoon shot across the cover image (above) and tracklisting (below) of this year’s Spring edition of the popular compilation series – and as you can see, it’s a who’s who of top chart stars. The set opens with Guy Sebastian’s current Aussie No.1 smash ‘Battle Scars’, but it also contains previous No.1 single ‘Boom Boom’ by Justice Crew, as well as a swag of other top ten successes. As always, a DVD is included featuring 12 videos of tracks featured on the CD (those tracks featured on the DVD are marked below with an asterisk). 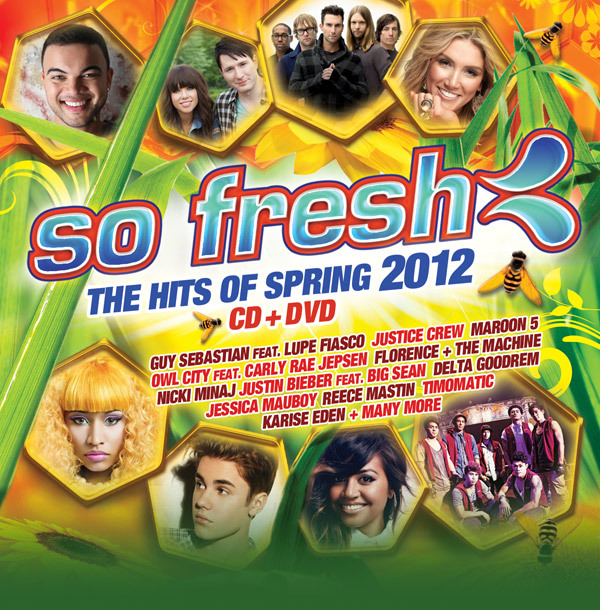 ‘So Fresh : The Hits Of Spring 2012’ will be released on Friday September 14. Lol @ Anonymous… I would take Johnny Ruffo in every position as well! Justice Crew, Boom Boom these guys are so fabulous……so talented…….so hot……..
We’ve asked the question and will await the response.